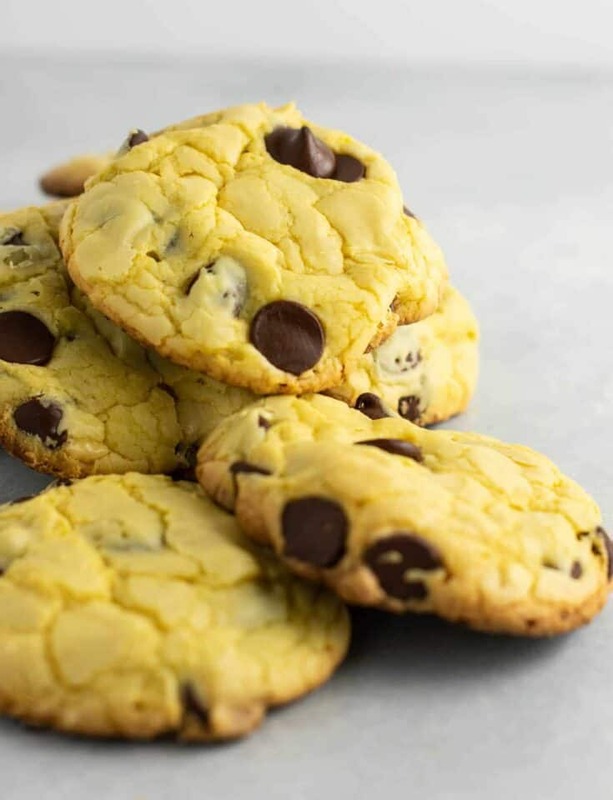 Say hello to the easiest chocolate chip cookies. That is it! 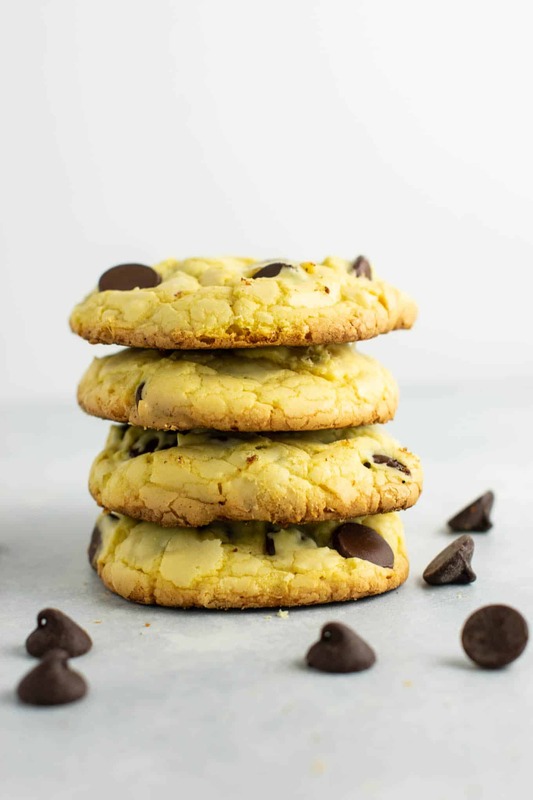 Only 4 ingredients and 5 minutes stands between you and a batch of these cookies going into the oven. If you have been following along with my cake mix series, you know that I have been creating easy recipes that can be whipped up in minutes with cake mix. Chances are that you have a cake mix on hand that you need to use up. I love coming up with recipes that can be made with boxed cake mix that are not cake! Add your cake mix, olive oil, and eggs to a mixing bowl. 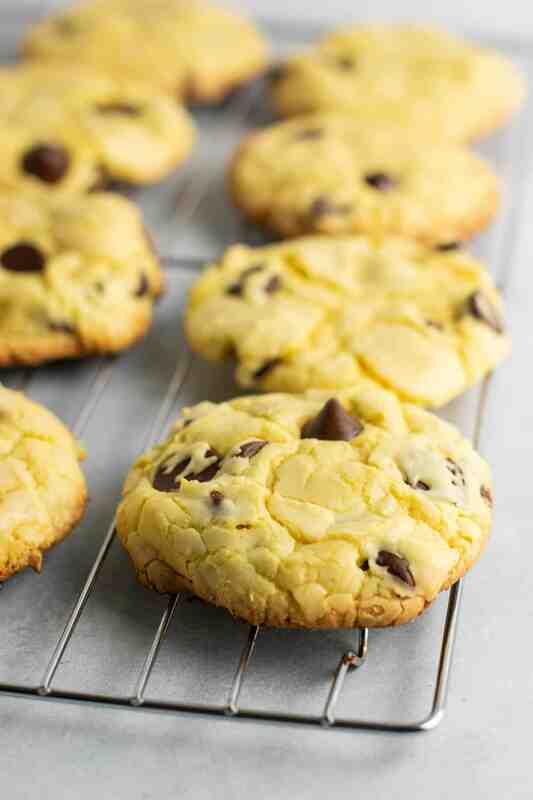 Beat until combined, then fold in chocolate chips. 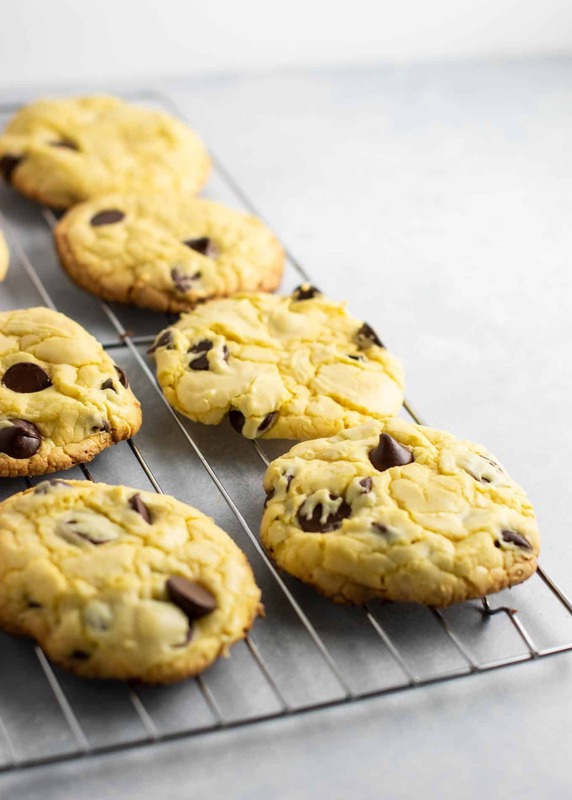 Use a mini ice cream scoop or a spoon to drop batter onto a cookie sheet. Sprinkle tops with extra chocolate chips, and pop them in the oven for around 12 – 15 minutes! No one will know how easy these were to make, and the flavor is simple and perfect! 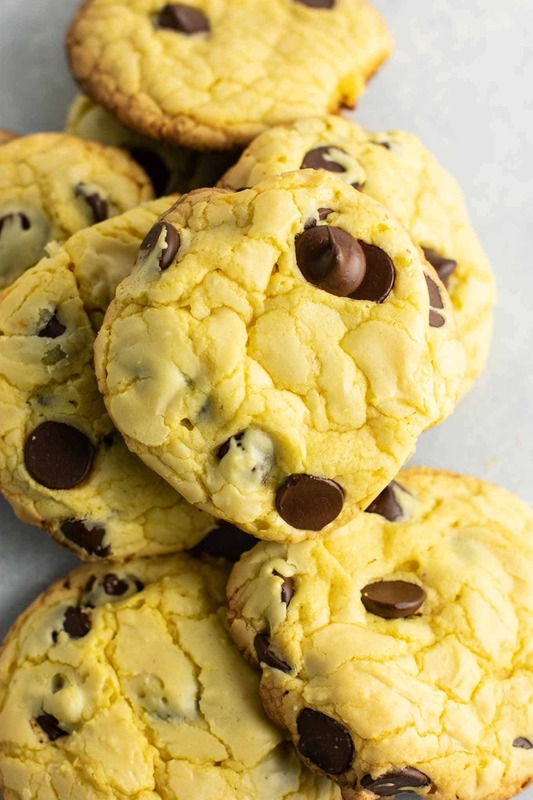 No one can say no to a good chocolate chip cookie, am I right? 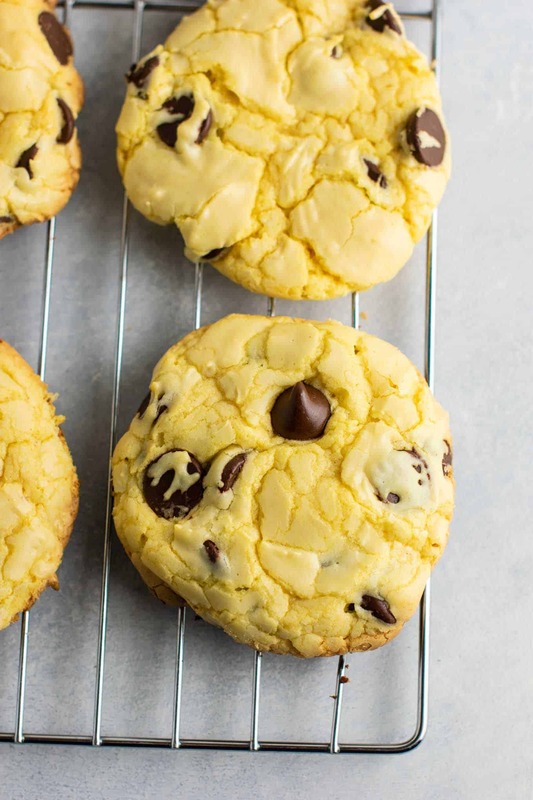 Make these the next time you need a foolproof dessert in a hurry! Be sure to leave a comment and let me know how you like them! Cake mix is an easy way to have a fresh baked treat on the table in a fraction of the time. Here are a few of our favorite ways to bake with cake mix. Cake Mix Banana Bread might just be the easiest and fluffiest banana bread ever! 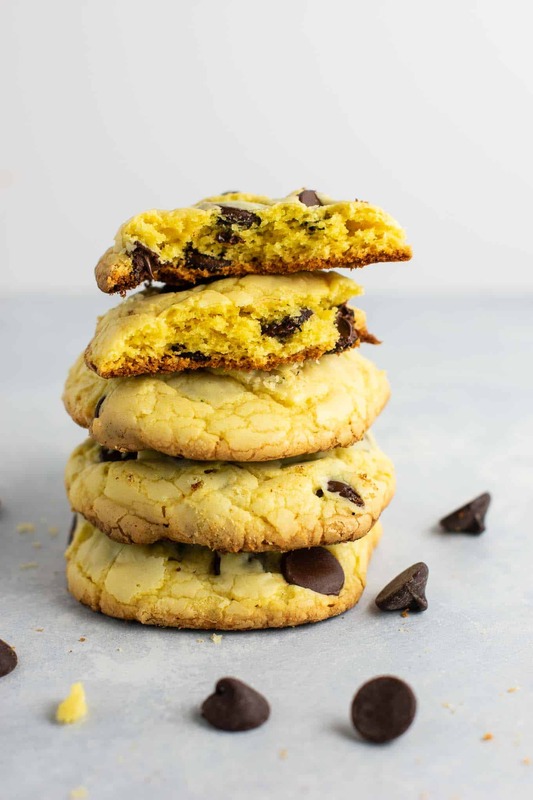 Chocolate Cake Mix Cookies are perfect for hitting that chocolate craving – double the chocolate! Cake Mix Brownies are another way to make a quick and delicious dessert. Cake Mix Cookie Bars are always a hit with a crowd!